Tropical pristine sandy beaches on islands and the main coast with palm trees swinging in the breeze and fishermen villages in between from time to time this pattern starts in the bay of Bengal with Ngapali Beach extends to Chaungtha and Ngwesaung Waterfront until southern Thailand opposite Kawthaung the former "Victoria Point" of the British. Myanmar is a country with countless attractive beaches and waterfronts of every quality such as bright white and yellow sand with cliffs and limestone rocks on the coast and more than thousand tropical islands mostly still untouched since the government blocked all tourism until the end of the last millennium. Most Burma beaches are still pristine and have some cultural hotspots somewhere in the back such as Ngapali with the Chin and Naga people neighboring "Chin State". No tourism is not bad in itself but it needs quality tourism not masses as the Thais are currently doing it the population of Myanmar definitely suffered as no progress was made since WW2. A beach in Burma is for sure overwhelmed by mass-tourism and hordes of Chines as it is in Thailand currently (2018). 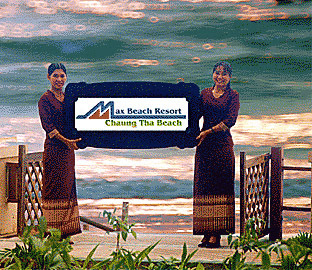 Blow is the seafront terrace of the Max Hotel at Chaungtha Beach west of Yangon on the Bay of Bengal which is the best along this waterfront. With such a tourism potential available in Myanmar the country could actually be a rich one. However the government does not do anything to bring the land up since the responsible people sitting in the capital Naypyidaw and argue instead to work. However the reality is also that Myanmar was destroyed by the colonial British and even today the English and USA make everything possible to block any development. Currently the main cash cow is this Myanmar Gemstones. 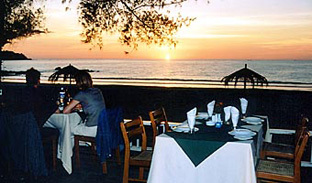 Ngwe Saung west of Yangon on the Bay of Bengal is a bit south of Chaungtha Beach. 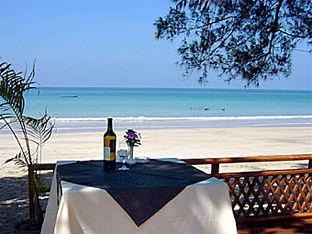 Andaman Club in south Myanmar (Burmese) is probably the best hotel and beach resorts in the south. Exotic tropical Myanmar archipelago with pretty beaches having palm and needle trees on the ocean front is here (among other) around Mergui/Myeik Archipelago in the south of Myanmar / Burma. The length of all seafronts together is about 3000 kilometers from the Bay of Bengal to the remote border in Thailand opposite Kawthaung. That includes the islands in south Myanmar which are almost genuine pristine because after WW2 when the British left no government allowed foreigners in. Some tourism started only in 198x with many "strings attached" so only a minimum of traveler came and most of them were from the USSR and East Germany. Myanmar (Burma) could truly be a top beach destination with resorts since it definitely is one of the potentially most attractive tourist destinations in Asia with endless waterfronts. But until now it attracts not foreign tourists every year and the one who comes usually are bound to other destinations and not to this beautiful seafronts, here the oceanfront at the Bay of Bengal at Ngapali is known for endless sandy beaches until now there is no nightlife with parties and girls. But the stone heads in England and USA continuously apply one embargo after the next since the Myanmar government is not making the kotau and do what the old and new colonialist command. A new but rather old travel destination. The cuisine is mainly seafood based and the festivals are often somehow blended with water such as the "water festival" or Myanmar new year celebrated in the whole country. Variants of tropical fragrances come from the harbor and the jungle vegetation. Around are ship with fish traps and some smaller junks with sampans and rafts with sleeping quarters. Most high-end beach property have spa and massage available. Package tours to the environment contact the hotel and let them make the arrangements. Only one destination is reachable by air that is Ngapali Beach. The other two beach destinations which are Ngwe Saung and Chaungtha can be accessed from Yangon via a five-hour ride through the Irrawaddy Delta.Not many waterborne sports are available such as jet skiing, parasailing, and scuba diving, sailing, and windsurfing can be done. The most interesting vicinity is at Ngapali where there are some very exotic tribes not far to the northeast. This is the Chin and a sub-tribe of them the Naga. Considering that Myanmar (Burma) is as big as France and Britain combined) not much have changed since the governments do almost nothing to improve the situation. Actually, they could do a lot but they are just not able to do that is an intelligence problem definitely not because of the military. 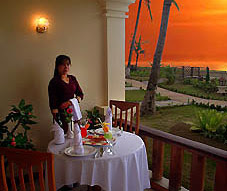 Beach Hotels & Resorts in the northern half of Myanmar. On the west coast and the islands are about 2000 km quite pristine since the country had almost no tourist activities until the 198x ago and today it is only concentrated on four spots on the Bay of Bengal. Myanmar Girl with you from Yangon. Local food also has its own tradition in particular curry and chilies flavored and since this is a big country with over 130 ethnicity and the size of France and Britain combined you can expect some diversities with such a geography. Try the buffet of local food. This is often blend into international flavor it's good and interesting food. When you are in Yangon take the Summit Parkview Hotel they have a different buffet every evening which is reasonable priced and often includes excellent wine and beer free flow. Actually in the country they produce very good local product Myanmar Beer and Mandalay Beer with top quality just as in Europe and US. Plenty of fish dishes and chicken plus pork etc. are available in the hotel restaurants. Plus other oriental favorites served steamed and with great sauces onions, garlic, local pepper, spices and what ever. In recent times the resorts are also trying Italian, Indian, Mexican, Japanese and Chinese dishes it's definitely not boring hanging around on a Myanmar Seafront. Internet etc. is available no need to miss anything on your Burma Beach Holiday. Experience a beautiful environment in the Myeik Archipelago and the island world down to Kawthaung which is the southernmost city in the country. Under British Burmese rules nobody was interested in beaches. Waterfronts in the southern Half. Ranong (Thailand) is on the opposite side of the bay and was famous for the visa run from Phuket, Samui and other places in South Thailand but after the Russian invasion including the girls for the business, they were overwhelmed by tourists and an administrative manipulation almost stopped it. There is not much is going on about tourism. The government does nothing to promote and encourage it. Considering the tremendous tourism potential just look at the Phuket - Krabi region this would catapult the whole southern part forward in terms of tourism. The needed hotels and beach resorts plus infrastructure would follow immediately since there is a lot of money in the country for local investment on this level read more. Now what is the government doing? The run around and ask foreign companies to invest instead of encourage local sourcing. On top of it the old and new colonialist > English & US already try to influence them into their colonial scheme again. If they would implement a law frame favorable to local companies an avalanche of investment would pour in and when foreign companies see that they also will invest. What are they doing? Political in-fights in the capital without anything positive. There are a couple of scuba diving sites in different parts of the Andaman Sea and until now all cruising adventure for live aboard trips (2018) are made with bigger luxury yachts in comfortable surroundings starting from Phuket Thailand. Which it is not cheap at all but it is this cruising motor yachts and sailboats are able to justify the price. This is “wet charter” charter with a dedicated crew and enjoys the scenic beauty and colors of the sea plus the islands and the interesting sea gypsies which still live on their houseboats between the islands. Snorkeling and diving plus exploring the islands with a sea gypsy guide to get an idea what's up. Travel in this part of the Indian Ocean always needs a permission from the authorities including to do around a while for immigration to obey certain regulations. There are always some from the security site with. 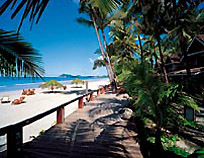 But in general only to make sure to be on the safe side and having a good time in the Myeik (Mergui) Archipelago.